Here’s a talk with Pedro Guirola, a student at Rochester’s Simon Graduate School of Business and a member of The Consortium. Thank you Pedro for sharing your thoughts with us! Pedro: I am originally from Miami, FL, and I am the first to be born in the USA of my Cuban family. My professional background is mostly in financial services, having spent over 5 years in wealth management, consumer banking and client services. During my time in wealth management, I loved interacting with CFO’s and controllers on a daily basis. These conversations helped me gain an appreciation for corporate finance and realize I desired to learn more about the strategies and evaluations used to make financial decisions at a company. In August 2008 I resigned from Wachovia Wealth Management and returned to school full-time at Binghamton University-SUNY to complete my undergraduate degree in Economics. In December 2009 I became the first college graduate of my family, graduating with a BA in Economics. Shortly after graduation, I returned to work at Wells Fargo Private Bank (previously Wachovia Wealth Management). Accepted: Why did you decide to attend Simon? Pedro: Simon was distinct from other business schools that piqued my interest because Simon provides a high level of personal attention, small class sizes, an economics-based approach, a plethora of opportunities for leadership, and a commitment to the community. After my first visit to Simon, I knew that I wanted to be part of the Simon family because I felt I was not solely signing up for two years of extraordinary experiences, but for a lifelong family with a global reputation and a vast alumni network worldwide. Ultimately I chose to attend Simon because it was ideally suited for my career goals and personality, and because Simon had precisely what I was looking for in my MBA experience by offering an environment that would be vital to my development professionally, personally and as a leader. Another appealing aspect of Simon is the diverse student body, which has an extensive international background that brings global perspective to teams and class discussions. Accepted: What are some of your favorite things about living in Rochester? Least favorite? Pedro: Rochester for me was the perfect location to immerse fully into the business school community. Rochester has a laid back atmosphere, which is very refreshing coming from the hustle and bustle of New York City. Everything is literally no more than a 15 minute drive from anywhere you are in Rochester. Mostly any large retail chain stores and restaurants you can think of are in Rochester. Of course there are times I miss NYC, but I certainly don’t miss the commuting and much higher cost of living. One of my goals during my MBA experience is to get to know all of my classmates not only by name, but also learning about their interests and backgrounds. Rochester and Simon gives students an excellent opportunity to build relationships in and out of the classroom. My least favorite thing about Rochester is the lack of Cuban restaurants. Pedro: My favorite class thus far has been Operations Management with Professor Dobson. Even though I am pursuing a concentration in Finance, I want to gain a holistic understanding of how a business works. One of the reasons I chose to attend Simon was because of the core cross-functional curriculum, which includes courses in operations, economics, strategy and marketing. I thought Operations Management would be a small piece of the puzzle, but now I see how the success of a company can be dependent on the implementation of good operational strategy. Professor Dobson does an excellent job in teaching the class by providing a well-balanced structure of theories and case studies. The class exposed me to strategies and terms such as bottlenecks, capacity utilization, flow time, overage and underage cost, reorder point, safety stock, and throughput. Accepted: Do you have an internship lined up for the summer? If so, what role did Simon and The Consortium play in helping you secure that position? Pedro: Yes, I do have an internship lined up for the summer. I will be working at PepsiCo’s Frito-Lay division in Plano, TX as a Summer 2012 Finance Analyst. Both Simon and The Consortium were instrumental in helping me obtain this internship offer before classes even started. I researched several companies in preparation for The Consortium’s annual Orientation Program which was held this past June in Minneapolis, MN. Both Simon and The Consortium helped me prepare for the conference by providing webinars to help develop my resume, practice my pitch, build my brand, prepare for interviews and navigate the conference. Before arriving at OP, I had 8 interviews scheduled with the companies that I was most interested in. I started my research by creating a list of things that were important to me, such as location, job function and industry. Then I searched for companies that met my criteria. Once I learned more about PepsiCo, I immediately was drawn to the company and its people. Just as in Simon, I felt it was a family and a place I would enjoy going to each day. I look forward to an amazing summer at Frito-Lay. Accepted: Do you have any advice for some of our applicants who will be applying to Simon? Pedro: For any school the applicants may be applying to, I recommend they personally visit the schools they are most interested in! Each school has its own personality and the applicants should make sure the school can be a place where they can see themselves spending the next two years of their life. This will also give applicants the opportunity to meet current students, members of the admissions team, professors and deans. During the application process, I visited Simon three different times for various reasons. On each visit I learned more about the school and felt more at home. 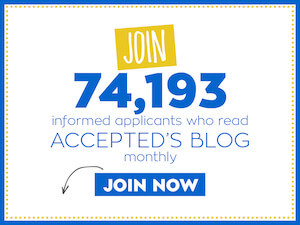 Accepted: What attracted you to the Consortium program? Is the program living up to your expectations? Pedro: Learning about The Consortium, I felt an instant connection with its mission. My parents, hardworking immigrants, made many sacrifices to leave Cuba and survive in the USA. They impressed upon me a strong work ethic, a sense of curiosity and an appreciation for different cultures, values that continuously pervade my life. I feel it is our duty to inspire underrepresented minorities to realize that they have the power within themselves to make it not only in the USA but anywhere in the world. The Consortium has surpassed my expectations to date and I am very appreciative to be part of such an incredible organization! For complete, soup-to-nuts guidance on the MBA admissions process, please purchase Linda Abraham’s new book, MBA Admission for Smarties: The No-Nonsense Guide to Acceptance at Top Business Schools – now available in paperback and Kindle editions!